In 1949, Professor Manuel F. Zárate, with a group of friends from his home town, Guararé, initiated a tradition that has become the most renowned folkloric festival of the Republic of Panamá. Today, nearly seventy years later, the National Folkloric Festival of la Mejorana, in Guararé, continues to promote the Panamanian folklore and keeps on protecting the traditional customs that are integral part of life in the provinces of Panamá. 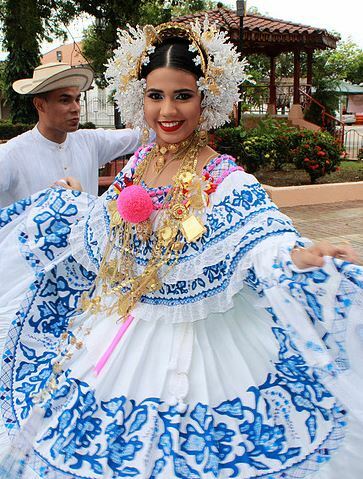 Together with the Patron Saint Festival of the Virgin of Mercy, the Guarareños (the people of Guararé) organize each year an event that gathers in this little town in the Azuero Peninsula in Panamá a large number of folkloric groups from around the country with the common objectives of enjoying, spreading, and preserving the Panamanian folklore. Musical performances, dances, singing, bull fights, an oxcart parade, popular dances, and many other folkloric expressions and competitions take place during the Festival. Guararé, a town that is welcoming, festive, and musical by nature, becomes host each September to many organized folkloric groups and many Panamanians and visitors that participate in a true celebration of Panamanian life. The opinions stated here are not official information from the Town of Guararé or from the Festival Nacional de la Mejorana Organizing Committee. The producers, sponsors, and collaborators assume no responsibility for errors or omissions in the data presented.